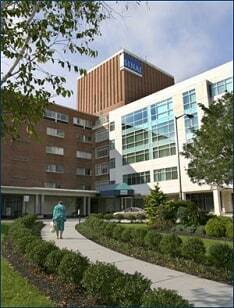 Sinai Hospital is a part of LifeBridge Health. LifeBridge Health also runs other medical facilities, including Northwest Hospital, Levindale Hebrew Geriatric Center and Hospital, Courtland Gardens Nursing & Rehabilitation Center, and LifeBridge Health & Fitness. Founded in 1866, Sinai has 467 beds. It is located in Baltimore City and serves as a teaching hospital in the areas of Obstetrics & Gynecology, Pediatrics, Internal Medicine, Ophthalmology and Physical Medicine and Rehabilitation. Other departments include Emergency Medicine, Orthopedics, Psychiatry, and Urology. The location of a lawsuit has a significant impact on the value of the case. Sinai Hospital is in Baltimore City. Plaintiffs' lawyers will almost invariably file medical malpractice cases in Baltimore because of a conscientious jury pool that historically gives alleged victims a fair shake and quality judges. Perforation of small intestine during laparoscopic bilateral tubal ligation. Delay in diagnosis of a ruptured disk at L2-3 leading to paralysis. Sinai is often defended by Francis "Skip" Leary of Chason, Rosner, Leary & Marshall, LLC, a lawyer who has worked for both plaintiffs and defendants. It has also been defended by Thomas Monahan of Goodell, DeVries, Leech & Dann, LLP, and Michael J. Baxter of Baxter, Baker, Sidle, Conn & Jones, P.A. Even good malpractice claims are hard to settle without filing a lawsuit. But, by reputation, Sinai is one of the hospitals where might be useful to open Sinai settlement discussions before filing a lawsuit assuming your case has real merit. Below is a list of lawsuits in Maryland recently filed against Sinai along with plaintiff's allegations in the lawsuit. Harrington v. Sinai (2016): Lap chole da Vinci robot surgical error lawsuit. Ferguson v. Sinai (2016): Respiratory and cardiac arrest status after a thyroidectomy (presumably from an airway obstruction after a procedure to remove thyroid glands). Newman v. Sinai (2016): Plaintiff's allegations in this case were not reported. St. Clair v. Sinai (2016): Misdiagnosis of a perforated bowel during knee surgery. Fellerman v. Sinai (2015): Wrongful death from misdiagnosis of abdominal compartment syndrome. Fink v. Sinai (2015): Morcellation of endometrial cancer after hysterectomy. Contact Us If you believe that you have a potential suit against a Maryland medical facility, contact us at 1.800.553.8082, or send us a free internet request for consultation.